Located 19km from the Brisbane CBD is Pallara by Stockland. The Pallara community is one to feel at home in with space for families to grow and proximity to schools, restaurants, cafes, medical centres and more. 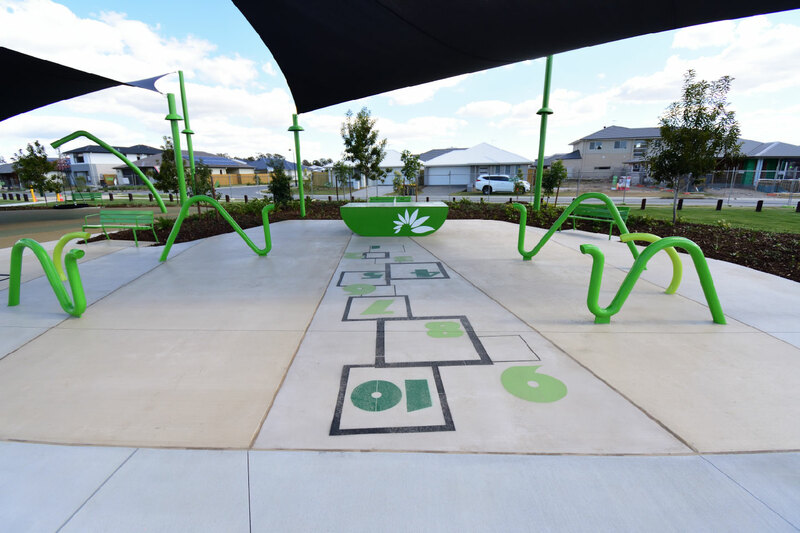 The strategic inclusion of playgrounds in Stockland’s residential developments have families flocking to their estates and helping them to motivate an active and healthy lifestyle for their residents. The vision for the Pallara playground was a playground where parents could get involved, promote diverse play opportunities and represent the dynamic and growing Pallara community. The playspace was also designed in accordance with Feng Shui principles to create the one-of-a-kind park. With this at the fore-front of mind, Stockland engaged Brisbane Playground designers, Urban Play. 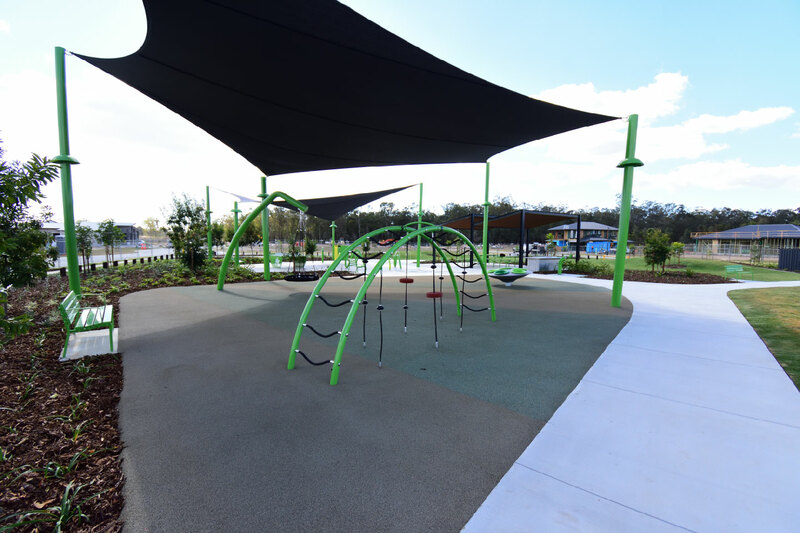 Working alongside Urbis and Interface Landscapes, the highly skilled project team set out to create a playspace that the Pallara residents will adore for generations and a playspace that will ignite a child’s lifelong passion for play. 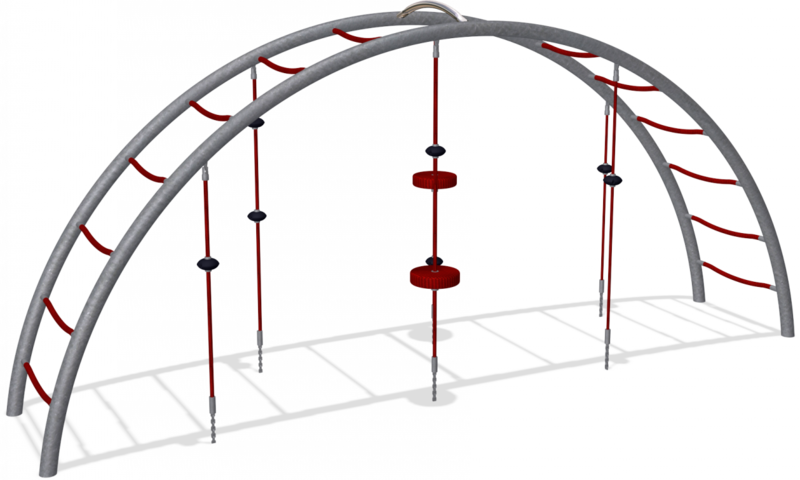 The ground-level playground is equipped with architecturally designed play equipment that is inspired by the Pallara branding. 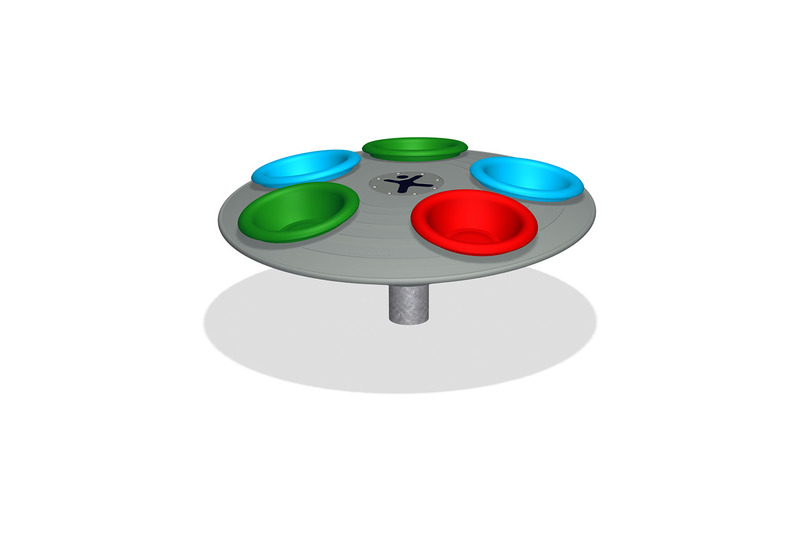 A brightly coloured custom-designed Flagship POPP table is great for parents and children to play ping pong. The free-to-use Ping Pong Table is perfect for any skill level and gets people moving in a fun and engaging way. 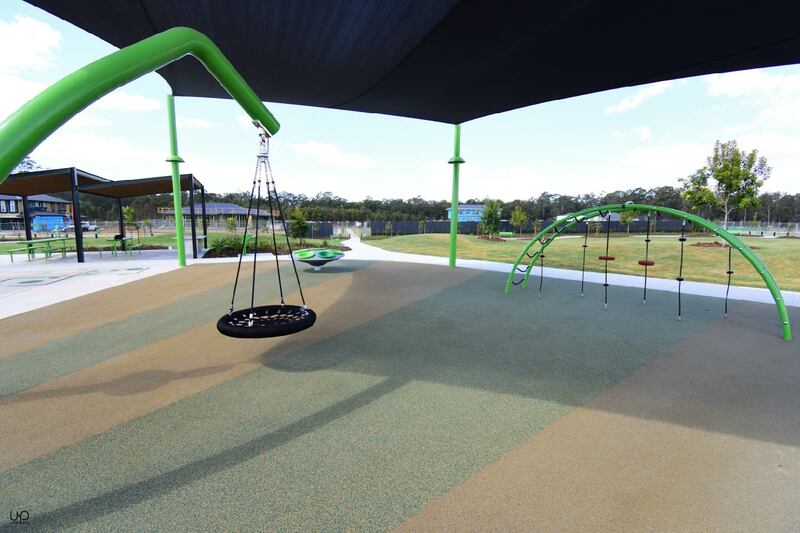 Viper Green Teletubes allow children to discover the principles of music and sound through play and engage all ages and skills levels whilst transforming a playground into interactive art. 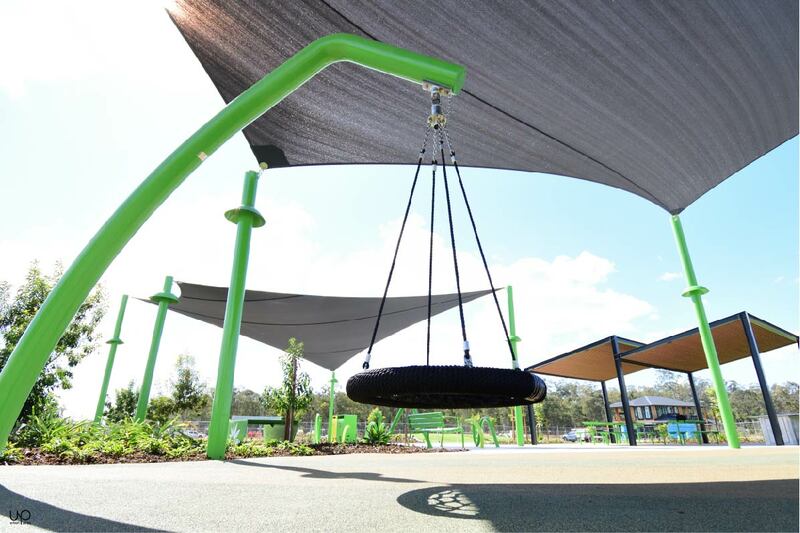 Children can climb, sit, swing and socialise on the KOMPAN Arc Ladder and a KOMPAN Multispinner has children watching-the-world-go-round.An eye-catching custom-design Birds Nest Swing is a favourite in the playground letting kids swing in all directions with a smile from ear to ear. Since opening, the playspace has been a hub of laughter, running and playing.